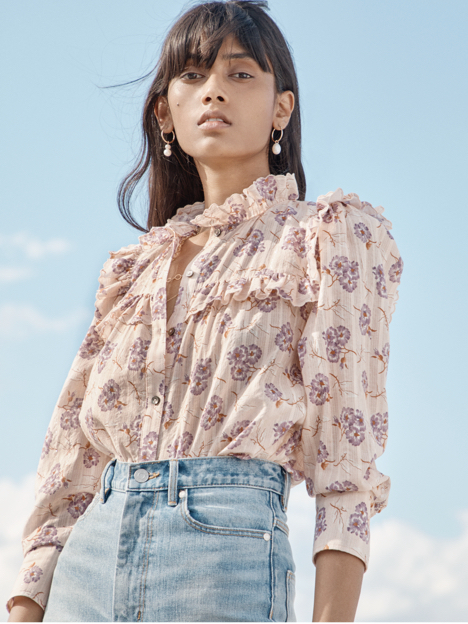 This long-sleeve poplin top showcases a hint of skin through its intricate vintage-inspired eyelet embroidery. This long-sleeve poplin top showcases a hint of skin through its intricate vintage-inspired eyelet embroidery. An open neckline and elasticized ruffle cuffs add to its feminine mood.